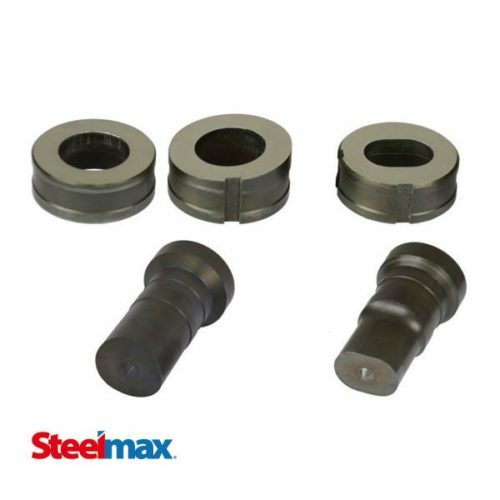 Steelmax offers the highest quality hydraulic punches and dies. Special shapes & slot sizes are also available. Steelmax offers a full line of the highest quality hydraulic punches and dies for use with its best-in-class HP60 and HP110 double action portable hydraulic punching systems. Round punches and dies for flat plate, as well as angled dies for punching round holes in beam flanges, are available as stock items for both punching systems. Selected slot sizes are also stock items. Special shapes and additional slot sizes are available by special order with very short lead times.